I am one of 1.6 million Americans living with Crohn’s Disease. I grew up in Miami, Florida and was diagnosed right before I entered high school. I woke up from a colonoscopy and my mother told me the news. I was drugged and groggy, but somehow I clearly remember that moment. It’s not something you can forget. It was the first time I heard of Crohn’s Disease and I had no idea what to expect. I spent most of my teenage years and early twenties in and out of the hospital. I would be admitted for a few days to help control the flare-ups and sent back home. A chronic illness may be treatable, but it never goes away. You have your ups and your downs. Seven years after being diagnosed I nearly lost my life to this disease. I had an abscess that burst and perforated my large intestine and I had to have emergency surgery. I was in so much pain that I was unable to grasp the pen and sign the consent forms. I spent over two months in the hospital recovering. It was the most difficult time of my life. I still had complications that lingered on from that first surgery, so I eventually had to have another one. My surgeon told me that he didn’t think I would need a colostomy, which was a relief. I dreaded the thought of one, I cringe every time I think about how I believed the negative stigma associated with ostomies. I was in a lot of constant pain, unable to leave my house, constantly running to the bathroom, my quality of life was poor, but I was still worried about the idea of a colostomy. When I woke up from surgery I overheard the nurses mention that I had a new colostomy. Once again, I was receiving life changing news (although by accident) while heavily drugged. Most people have time to prepare for the reality of this drastic physical change. My first thought was, “I won’t have to get up to go to the bathroom, I think I can handle this.” By the time my mother came to tell me the news I already knew and was cool with it. No big deal, I’ve got this. I had spent the last ten years chained to a toilet, not being able to live my life, and all of a sudden I was free. There was an adjustment, I did undergo a major physical change, but with a little bit of time I was a pro at taking care of my ostomy. I could do bag changes like a NASCAR pit crew, in and out, no sweat. My first ostomy was only temporary, I lived with it for a year before it was reversed. My life went on and I even got involved with the Crohn’s and Colitis Foundation of America (CCFA) and joined Team Challenge, an endurance training and fundraising program. I completed 3 half-marathons and raised over $14, 000 for the foundation. I went from being stuck to a hospital bed to crossing a finish line, there’s no way I can describe those moments. Like I said before, Crohn’s Disease is chronic. Three years after having my first ostomy reversed I had a major setback and ended up back in the operating table. I knew going in that I was going to need an ostomy and I was ok with that, in fact I told my surgeon to make it permanent, let’s not go back and forth this time. I looked forward to having my freedom again after Crohn’s Disease tried to take it away again. I’ve had some fun with being an ostomate the second time around, I’ve gone to the beach and pool in a bikini and I even did a fun photo shoot proudly showing off my ostomy. For those who might be facing surgery and having an ostomy all I can tell you is to embrace it. Get out of your head, don’t worry about what people will think. No one can notice your bag, you can’t smell it, you can wear whatever you want and you can even go swimming. Your ostomy nurse will be your best friend. They will help you find what products are best for you, everyone is different. The first time I had an ostomy, a few medical supply companies sent me boxes of samples so I could figure out exactly what worked best for me. You can contact medical supply companies and request samples on your own, or your ostomy nurse can help you. Just remember, you’ve got this. 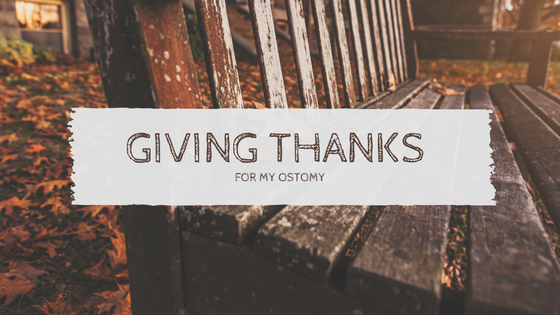 Grateful for My Ostomy Surgery by @semicolongirl ( follow Julie On twitter @semicolongirl ) for more tips and advice!